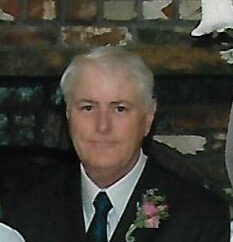 Patrick Vautour 66 of Everett passed away on January 22 at the Cambridge Health Alliance in Everett. Patrick was born in Everett on March 17, 1952 one of eleven children of the late Willard and Margaret “Peg” (Kearns) Vautour. Patrick grew up in Everett in a large and loving family. He graduated from Everett High School Class of 1970 and then went on to continue his education and graduated from Salem Stare University in 1974. Patrick also served his country in the Army Reserves. Patrick was an Everett Fireman and loved his job and loved helping people. Living in the Boston area, Patrick like many others was an avid sports fan. He enjoyed time with his wife when they vacationed at Old Orchard Beach in Maine. He not only loved is job as a firefighter but his greatest love was his family. He loved his children and grandchild. Patrick was the beloved husband of Marcia (Chamness) Vautour and loving father of Caitlin Vautour of Everett, Patrick Vautour of Virginia and Courtney LaCorte of Everett. He was the brother of Willard “Billy” Vautour of Naples, FL, Ronald and his wife Linda of Middleton, Donald and his wife Marilyn of Westborough, Donna Falco and her husband John of Medford, Kevin and his wife Christine of Melrose, Wayne of Reading and the late Corrine Duffy, Carol Mason and Dennis Vautour and his surviving wife Liz. He was the loving grandfather of Ryland LaCorte. Services are private. Patrick’s Life will be celebrated at a future date to be announced by the Family.